Product prices and availability are accurate as of 2019-04-14 22:04:59 BST and are subject to change. Any price and availability information displayed on http://www.amazon.co.uk/ at the time of purchase will apply to the purchase of this product. For decades, Macallan was known as the distillery that matured solely on sherrycasks, because they felt this creates the best whisky. 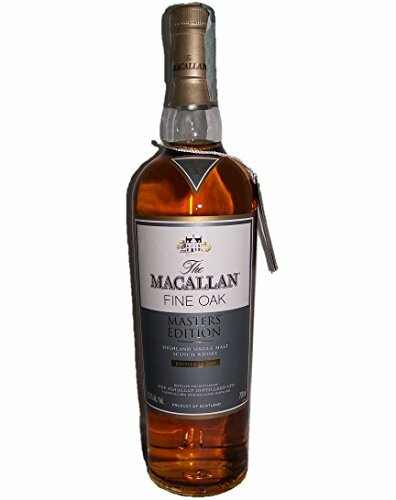 We all know that sherry casks are quite a bit more expensive than the ubiquitous bourbon casks. Their high-end sherry-matured whisky sold tremendously. So much so that they ran into trouble sourcing sherry casks, that became increasingly rarer and thus even more expensive. 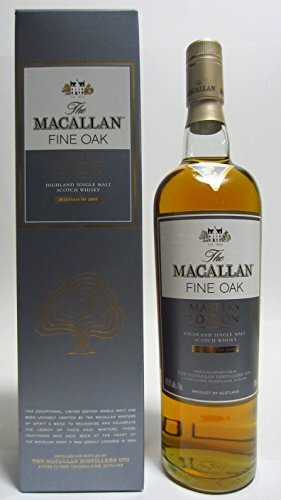 But the marketing dudes at Macallan came up with a solution, allowing Macallan to use bourbon casks after all: they introduced - in 2004 - the Fine Oak range. 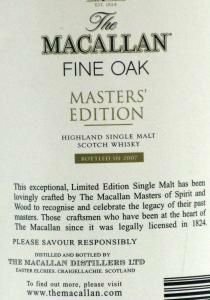 I have tasted quite a few of those already, but today we'll try a variant: the Fine Oak Masters Edition. It is bottled at a slightly higher strength of 42,8% ABV. It's a mix of both sherry and bourbon casks. The nose is simply marvellous. Delicate and floral with high notes of citrus, vanilla, peach and low notes of sweet malt, pineapple and hazelnuts. On the palate, it is quite creamy and soft, only mildly spicy, with a lot of vanilla, malt and a touch of coconut. Very fresh and crispy. It feels somewhat young, but that doesn't detract in the least. It's even got a whiff of salt, that creates a nice balance. The finish is drying on vanilla, white chocolate and ends a touch bitter (but not too much, luckily).